The Maruti Suzuki Celerio AMT is the first car in the country to get an Automatic Manual Transmission and as we reported here, the concept of a cheap to run automatic car seems to have captured the Indian car buying public like never before. The Celerio AMT is outselling the manual at most dealerships for a few key reasons. The car doesn’t cost much more than the manual, returns the same fuel economy figures and of course, is much easier to drive in India’s terrible traffic conditions. All these reasons make the Celerio AMT a really good value for money for the first time car buyer. That said, the concept of an AMT transmission is actually quite simple when one dissects the technology to its bare basics. An AMT is actually a manual transmission with an electromechanical clutch actuator. The biggest advantage and incentive for manufacturers to opt for an AMT gearbox instead of a conventional automatic gearbox is the price advantage they face since the base transmission is actually the same. In a conventional manual gearbox, a set of cables or a link usually operates the gearbox in a two-step process. If the gearbox is cable operated like for example in a Tata Nano, two cables do the process of selection and engagement of the gears. The selection cable is actuated when one moves the gearshift lever from left to right or vice versa. The engagement cable is actuated when one actually shifts into one of the gates to engage a gear. Similarly, a link operated gearbox, like the single-link shifter mechanism found in the old Maruti 800 works on a similar principle. In the case of the 800, the link rotates for the selection process and moves longitudinally to the centreline of the car to engage a gear. Simplifying the shifter process, an Automatic Manual Transmission, or AMT essentially negates these mechanical linkages by replacing them with electromechanical individual devices that work off the engine management and transmission management control units. The electronically controlled clutch actuator uses an electric motor to operate the clutch instead of a conventional pedal and cable operated setup. In the clutch actuator, the rotary movement of the electric motor is transferred via a set of gears to a linear movement that is needed to engage and disengage the clutch via the pressure plate. The clutch is operated via a release lever and bearing which then helps to engage or disengage the gears in the transmission. 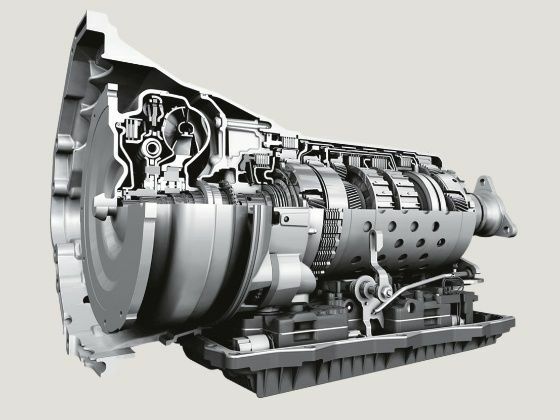 ZF Sachs, the pioneers of the AMT gearbox claim that this setup not only simulates clutch-less driving for the driver, but also increases the life of the clutch components while cutting down on emissions and increases fuel economy. In an AMT, the electromechanical or sometimes hydraulically operated actuators take over the clutch and shift action, but do not take away driving pleasure. This is predominantly due to the fact that the driver can still choose to manually engage a particular gear through either a shifter lever or a steering mounted paddle shifter. With their optimised shift points, AMTs also help reduce torque interruption to a minimum between shifts. As an array of sensors register and convey all key information through a transmission control module, the system can automatically adjust shift points and control the clutch according to driver based input. The AMT’s ECU can also intervene to improve safety by automatically interrupting drive flow to counter the risk of skidding if the vehicle loses traction. Apart from giving the driver the pleasure of driving an automatic car, the AMT system was essentially developed to automate manual transmissions in vehicles that cannot have a conventional automatic transmission. The AMT can also help in cars where a conventional automatic transmission or a Continuously Variable Transmission (CVT) is difficult to install due to cost, weight or installation space constraints. Apart from the Marui Suzuki Celerio that uses a Magneti Marelli, the Tata Nano facelift will soon sport a similar ZF developed AMT.